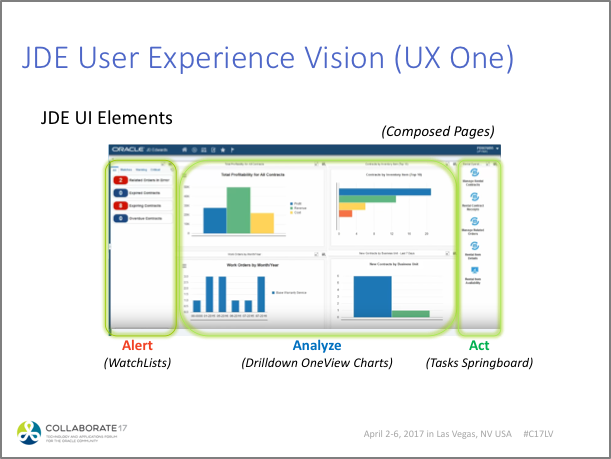 User experience in E1 – what is UX1 and UDO? Michel Frappier, Sr. CNC Consultant at ERP-One, presented this session, bringing his extensive JD Edwards technical expertise to this presentation, which was attended by approximately 100 people and very well-received. 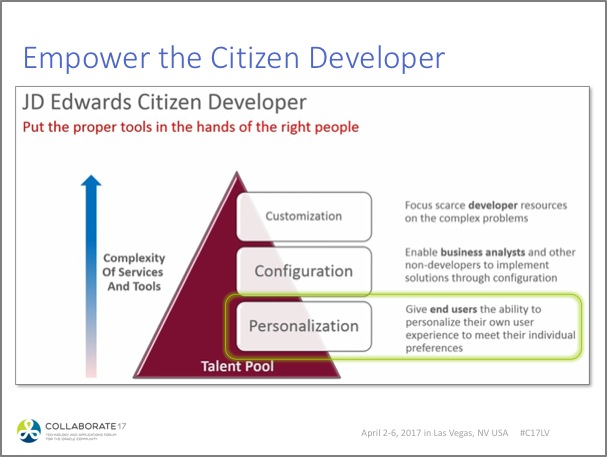 All the new UDO (User Defined Objects) types, recently released by JDE, further enable the Citizen Developer vision and put more customization power in the hands of ordinary users. The new UDO types (Watchlists, OneView style Charts, E1Pages, etc. ), bring a more dynamic and cutting edge look to JDE. With UX One components, all these new elements come in downloadable packages. 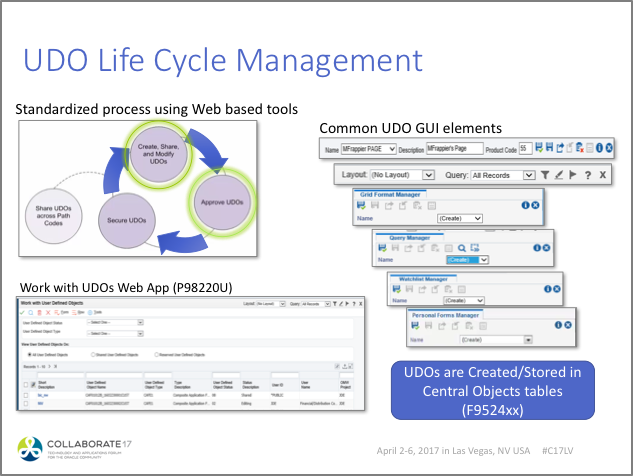 The latest 9.2.x tools improvements have made managing all the UDO types a very straight forward process. This, in turn, makes it easier to install & update the much-evolving UX One delivered contents. 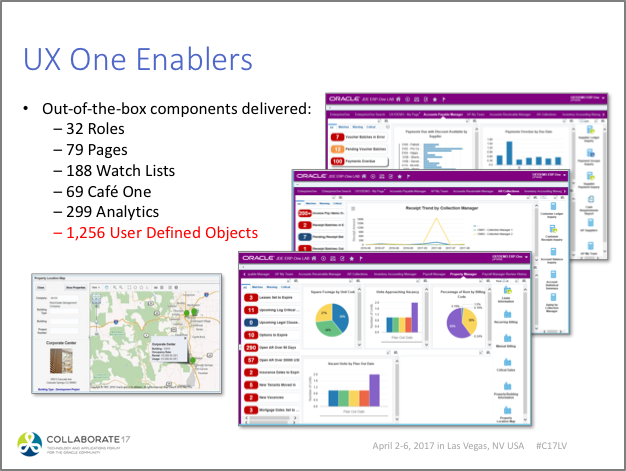 JDE will keep growing their UX One industry centric role sets of UDO objects. 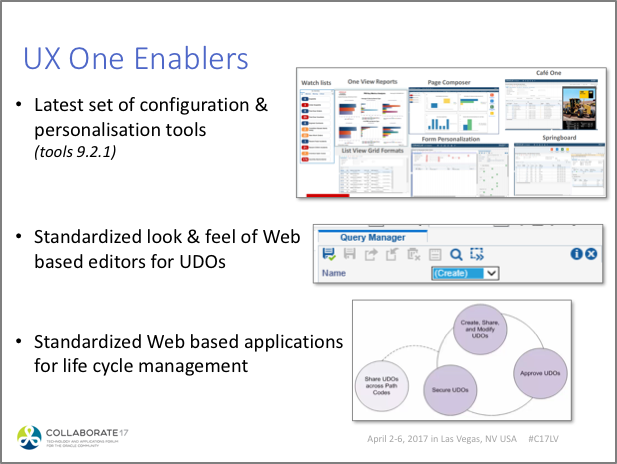 Standardized sets of web-based tools now govern the change management processes use to create, update & deploy UDOs in the different JDE Environments. 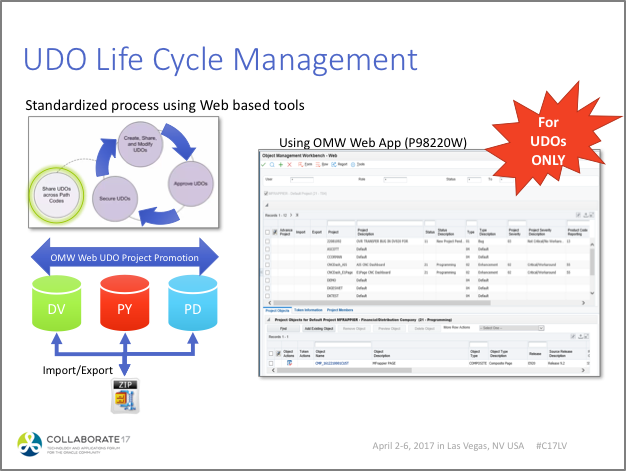 New OMW Web tool is used to import/export and promote UDO objects between JDE environments. Michel did an excellent job on his first Collaborate presentation. He received positive feedback from attendees, along with several post-session questions on topics such as: UDO security, deployments, and performance.